Which cart shape is your favorite? I am curious what Inty cart shape/design is everyone's favorite. I know everyone's choice should be the classic Mattel cart, but I kinda like the Imagic design. EDIT: I hope I didn't forget any shapes. Let me know and I can add them. Edited by fdr4prez, Sat Dec 26, 2015 1:36 PM. The classic is tough to beat, but I like the big picture labels. Also, no LTO? I looked at the LTO and it is very similar to the Activision shape, no? I like the Classic Mattel carts. Also the box art is awesome as well. It's unique, so I'd add it. Classic Mattel all the way. It's what makes Intellivision......Intellivision! Yes, that is what makes Intellivision Intellivision, but I liked how the various suppliers had their unique designs. It adds a certain amount of flair or pizazz. Style! And probably necessitated by fear of lawsuits if they copied Mattel's carts. Imagic here. Foil and photos were great, and the games weren't bad, either! For me its between Activision and Imagic!!!! The sheer strangeness of the Interphase cart is oddly appealing. The design and color both set it apart from the pack, but the Imagic design and the foil labels makes it a bit more sleek and cool looking. I am a purist when it comes to my retro tech. Mattel style original for me. Interphase gets my vote for coolest cart design, I've had Blockade Runner for years and always like how the cart looked with the Red and handle. Activision and Imagic are nice designs too. I actually don't care for the original Mattel carts, they don't stack all that well..
Edited by SiLic0ne t0aD85, Thu Dec 24, 2015 8:17 PM. Activision is the sexiest for me. I also really like the red Interphase and the solid LTO. Edited by intellivotion, Thu Dec 24, 2015 8:56 PM. ...I actually don't care for the original Mattel carts, they don't stack all that well..
Edited by fdr4prez, Thu Dec 24, 2015 10:12 PM. Like for a housing to hold the PCB for a Sega Genesis to Inty controller adapter? Edited by SiLic0ne t0aD85, Fri Dec 25, 2015 11:36 AM. I also like LTO stickers the best. Carol and Space Patrol stickers are really nice. It's a bummer we can't vote for multiple versions or rank them somehow. I'm clearly predisposed to my own LTO shells. The Activision shells are pretty nice, although, their tapered end is a compromise over having a label that folds over the end. Of the original shells, these are probably my favorite. The Imagic foil-labeled cars are really sharp; however the handle/grip at the end doesn't really work for me, and the part of the label that goes into the short 'lip-over' area often ends up coming unglued, sticking out. The Interphase shells are definitely unique. I think their handle is an interesting idea. I give them props for their design. The Coleco shells are boxy but functional. Plenty roomy inside. Plain, but allow for a nice, large label area. And weren't the SEGA carts the same shell? Someone please correct me if I'm wrong. The Parker Bros. shells are sharp. It's almost if they took some design cues from the stealth bomber or something. They're right up there with the Activision shells for me in aesthetics. The Activision shells are more functional, though, with those grips on the side. 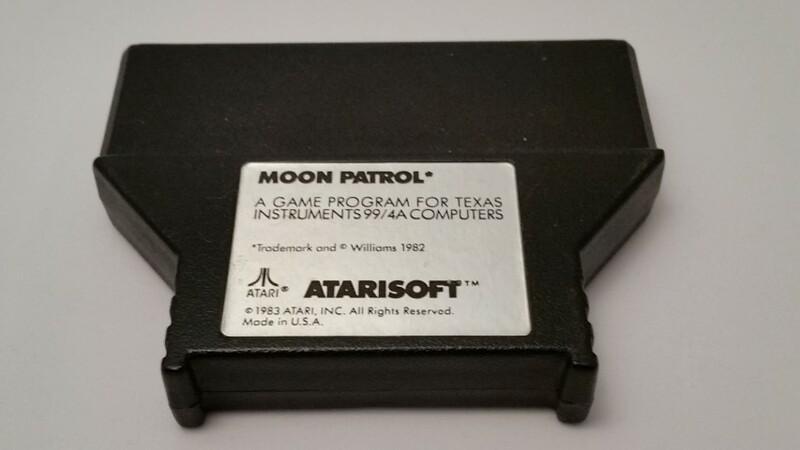 Atarisoft: I have to admit, I had to go look up what these looked like. They're that boring. That's a missed opportunity. 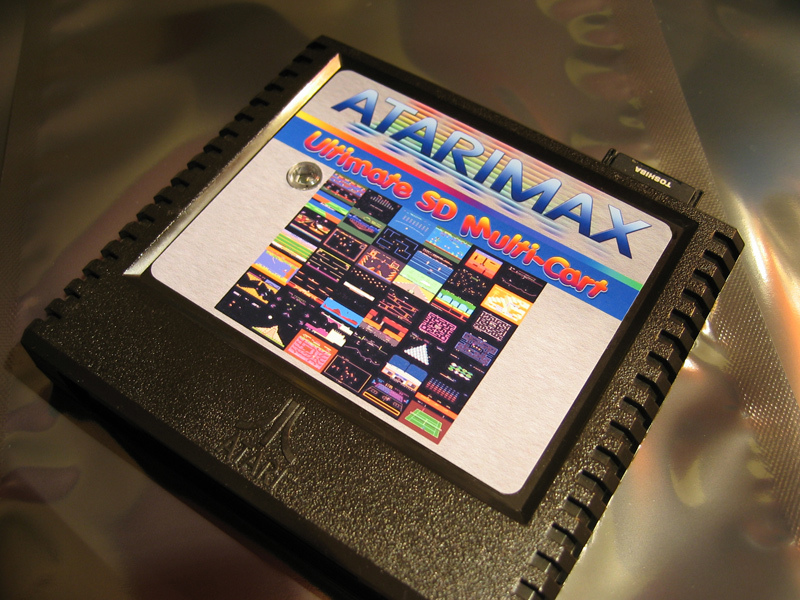 The Atarisoft carts for the TI-99/4A were actually pretty slick, shape-wise at least. The shape at least seems inspired by the Atari logo itself.